The Design and Create Faculty aims to prepare students for our ever changing and fast paced society. We want to prepare students with skills needed to succeed: creative thinking, problem solving and resilience. 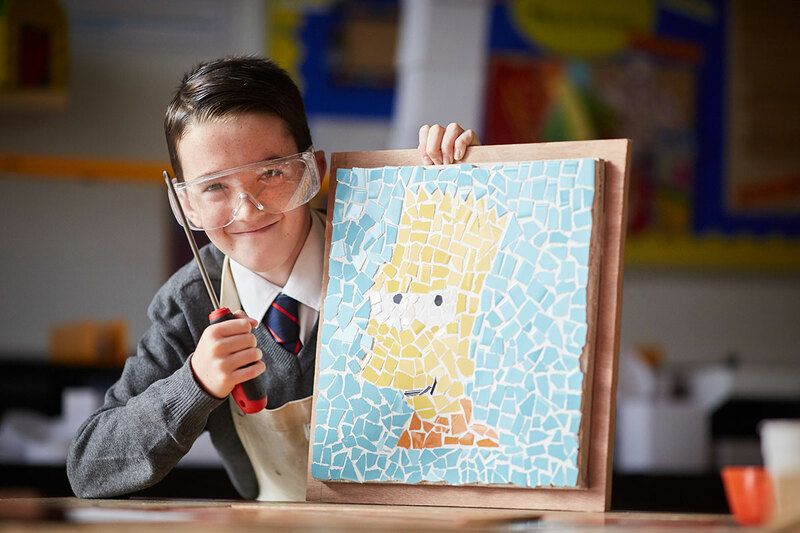 Over the course of the KS3 curriculum students will have the opportunity to explore painting, printing, 3D making and craft skills. These skills will develop in complexity as students’ progress through KS3. Each set of skills will be explored through a theme with artist and/or cultural links. Design Technology modules develop student understanding of subject knowledge and skills through a range of focused practical tasks that introduce them to the different material areas. Unit 1: Portfolio of Work (all projects completed in Year 10 plus first project in Year 11) 60% Unit 2. Externally set task (one project chosen from options given by AQA completed between January and April) 40%. Unit 1: Extended controlled assessment portfolio of work and a made product, worth 60% of the final grade. Unit 2: Written exam worth 40% of the final grade. Preliminary material released for pupils in March of Year 11. Unit 1: Controlled assessment with practical, worth 60% of the final grade. Unit 2: Written exam worth 40% of the final grade. Equal rights and benefits according to their contribution.